It’s really rather unfair to count this as one of this year’s books. In truth, I read the majority of it last year, sometime around May or June. 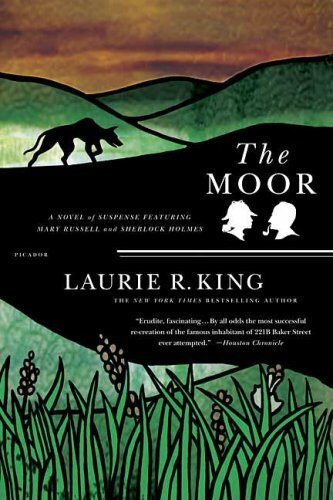 But seeing as Laurie R. King’s The Moor is set in and around Baskerville Hall, I felt it necessary to pause and give Conan Doyle his due. Admittedly, I never did finish Hound of the Baskervilles, but that wasn’t Conan Doyle’s fault; it was about that time my health went south and I gave up reading altogether. I’ll return to Conan Doyle soon. Anyway, on to the story. Holmes goes to visit an old friend, Sabine Baring-Gould, who lives just beyond the moor. The man is aging, on his deathbed, and while there, Holmes picks up the lines of a mystery, sending for a disgruntled Russell to put aside her studies in Oxford to come help him. Evidence of the Baskerville Curse has surfaced once again, and Holmes has decided to put the superstitious people of the moor to rest and show them it is not of Supernatural origins. The novel, like its three predecessors, is not written like a modern novel, but rather fashioned after Conan Doyle’s writing and the early 20th century writers. It requires a certain rhythm to read, one that took me a while to rediscover after spending the majority of my recent pleasure reading time on YA novels. Again, because I read the majority of the novel quite some time ago, I don’t have anything of particular interest to say about the book. The middle dragged for me some, due mostly to Holmes’ absence. The fun of the Mary Russell series is seeing Russell interact with her husband. As interesting as the mystery was, I found it lacking when its two major characters weren’t together. It was harder to stay focused on Russell’s explorations because she didn’t have Holmes to work against. Once they were back together for the end of the novel, however, I finished it quickly. Style-wise, however, it still feels the way you want it to, remains true to Holmes’s character, and reminds us that Russell does not know everything there is to know about her husband, and we enjoy learning about his little hidden secrets with her. 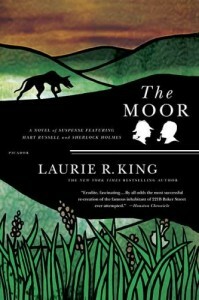 Though sluggish in the middle, it is still a good read, and well worth it for the references to Hound of the Baskervilles and to watch them solve the crime of the mysterious ghosts on the moor again.